Congregation Shaarei Zedek and the Orthodox community of East Meadow are excited to celebrate a special milestone in the growth of their kehillah. 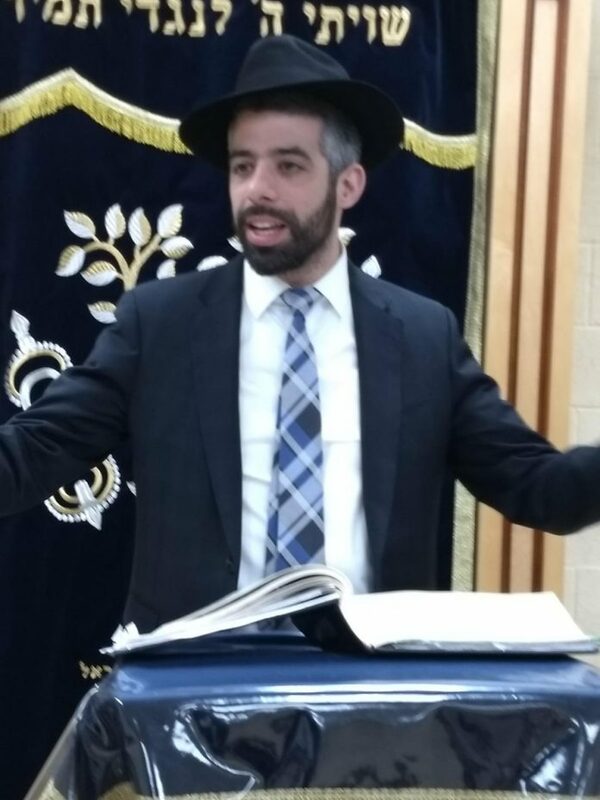 In less than three years, they have established an eruv, a shul with Shabbos and yom tov minyanim as well as weekly learning opportunities, and they are now proud to announce the hiring of Rabbi Moshe Winter as the rav and mara d’asra of Congregation Shaarei Zedek. Rabbi Winter, along with his wife, Meira, and their children, have moved from Kew Gardens Hills, where Rabbi Winter served as rav of Kehillas Beis Dovid since 2011. Rabbi Winter’s warmth, depth, breadth of Torah knowledge, and rabbinical experience will provide dynamic leadership for this unique and growing community. Meira Winter has a master’s in special education, and has been working for the past 16 years at the P’TACH Program at Yeshiva University High School for Girls, where she is a beloved role model for many young women with learning differences. Mrs. Winter is someone who is easy to talk to, and has a lot of wisdom and practical guidance to offer. The kehillah of East Meadow is a small, close-knit Torah community founded by a group of bnei Torah with the unique opportunity to mold a new community with fresh vision and energy. As pioneering members of a growing community, every individual and every family makes a vital contribution, and is involved in countless chesed opportunities to support each other and the extended Jewish community of East Meadow. Rabbi and Mrs. Winter plan to help propel the community forward in its vision of personal and communal growth in Torah, mussar, and chesed. They have demonstrated their dedication from the moment they made their decision to accept the position, as they made themselves available to the community, and moved in with their large family, b’H, every few Shabbosim. Rabbi Winter began delivering what will now be his weekly men’s and women’s shiurim. Congregation Shaarei Zedek and the kehillah of East Meadow share the Winters’ excitement upon the completion of their move, and look forward to much continued hatzlachah, b’ezras Hashem! To learn more about the community, visit KehillaofEastMeadow.com or call 516-564-3008. There will be a gathering for women to meet the ladies of East Meadow this Sunday night, February 10, 8:30 p.m. at 141-48 73rd Avenue, Kew Gardens Hills. RSVP to info@kehillaofeastmeadow.com or just stop by.